Tuesday: Prison Guys, Directionally Challenged, + West Wing Liturgy. 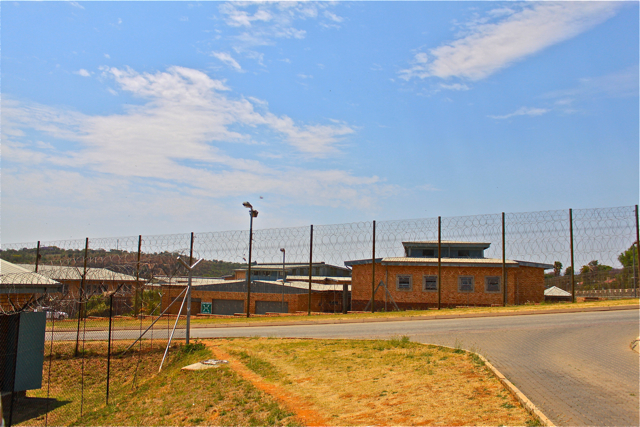 Emthomjeni Youth Prison. "A Place Of New Beginnings," truly! Up early this morning. Coffee and general fumbling around, as the coming winter peaks through mid-autumn here in Pretoria, drawing a coolness to the morning air that begs a few minutes more under the covers. Out the door on my way to Baavianspoort Youth Prison to meet the Pure Hope team (alas, sans Maxie as she is required in another meeting this morning) and to continue our Life Compass course with 17 inmates. This is the second time we have facilitated this course for youth in Block B of ‘Emthomjeni,’ a prison vastly different within the South African penal system for its emphasis on education, rehabilitative work, and as their slogan says, “A Place of New Beginnings.” Regularly, the hour plus that Maxie, Bianca (one of Maxie’s Pure Hope students), and I spend facilitating this course for ‘our boys’ is the most meaningful time I spend in South Africa on mission each week. This morning was chaotically normal for us, as we lost six of our boys to the last day of a course on Anger Management that a local psychologist was presenting that many of the inmates were required to sit in on as a part of their rehabilitation. While we are grateful for the opportunity for inmates to process their anger in hopefully increasingly helpful ways, it is depressing when it comes at the expense of them having to miss our training course. We are nearing the 2/3rds mark of this 4 month course, designed as a holistic look into one’s past + present from every conceivable angle, including one’s timeline, personality profile, natural skills + abilities, and a host of other windows into the life that God has birthed within us. All of this past reflection is done in one big soupy bowl, building slowly upon each other in the hope that one’s self-awareness will crystallize into a life vocation (a ‘call forward’ by the Spirit into the life we were created to live) and vision that carries these inmates through the rest of their sentences and out into freedom and a dramatically different life than what they have previously imagined. This morning ‘tedious’ describes best our efforts, as we were tallying scores from a host of personality, spiritual gifting, and leadership tests, seeking to make sense of how we are wired. Much of the morning, Bianca and I moved among the guys in the room, seeking to translate overly Western questions (“I am able to speak enthusiastically and clearly about doctrinal truth”) into language and concepts that make sense within an African context. It’s tough, to say the least! But the guys were heartened as we announced that in an effort to catch up, we have been granted a double session of time with them next Tuesday by the head of the prison block we work in. 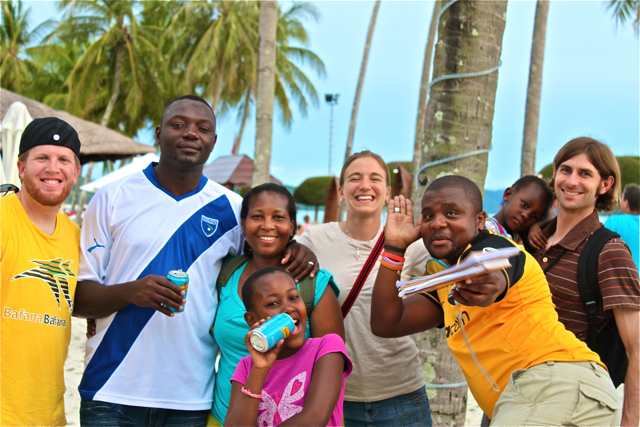 InnerChange South Africa friends (Luc, Petunia, Moskie, Bahati Kabongo, Johannes Manganye. Not pictured: New teammates Emily, Rebecca, and Julie). We leave a bit early so I can scurry off to catch the last hour + of time with our sister organization with Church Resource Ministries (CRM), InnerChange South Africa, a monastic order living in simplicity among the poor in Soshanguve, a large township outside of Pretoria. I have worked closely alongside Luc and Petunia Kabongo and their team for several years now in a variety of capacities, and am currently joining their Tuesday morning rhythm of breakfast, prayer, learning once a month to provide spiritual direction for their growing team, facilitating an environment of listening + reflection for our friends who live in an environment where need is constantly at hand. I rushed late to join their team this morning, a bit frantic and still thinking through our time in prison, unaware I was taking the wrong highway towards Sosh for almost 20km! ARRRRGGGGHHHH! Flipping the car around, I finally arrived to their entire team waiting for me (DOH! ), a mere 25 minutes left in their morning. Feeling ashamed and apologetic, they were gracious with me, welcoming me into their midst even as they were wrapping things up. Knowing I would not be able to facilitate spiritual direction as normal, helping them to process where God is at work within their lives and mission, I fumbled around, seeking for something to offer them. In the hesitation, Luc mentioned that he can rap in French, which just destroyed everyone, and quickly solidified into him becoming the latest performer at our wedding in a few weeks! I left the team with a powerful song from Jesus Culture entitled “My Soul Longs For You,” thinking about the question of where they found themselves in desiring God at this point in their journey, seeking to open the conversation that at times, we must ‘desire to desire God’ again in our lives, and that this dryness is a part of life! 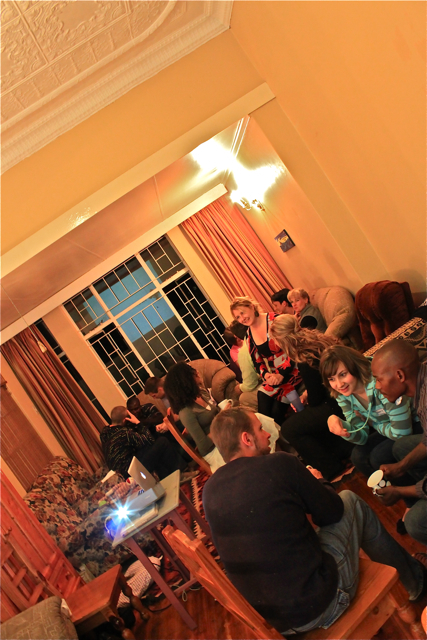 Tuesday nights at the Reed's house for NieuCommunities dinner and conversation. Talking with Maxie as I made my way through the city, getting lost yet again (How long have I lived here? ), I now sit at my computer, needing to press on in final preparation for our weekly Tuesday evening dinner and learning conversation with NieuCommunities, a core piece of our missional community’s rhythm each week. Tonight I facilitate a conversation birthed from our submerging posture, seeking to meld disparate thoughts of how Jesus dwelt among men with the larger meta-conversation that still resonates within everyone’s mind here, namely the aftermath of Osama Bin Laden’s killing and the lingering questions of justice that many South Africans are raising to any American they can find (Cue, US!). I recently re-watched a few powerful West Wing episodes from the end of season 3 that touched on this very issue, and thus I’m going to bring clips from these shows as a framework to ask larger questions of justice and how Jesus lived among us, showing us an example by which we are to live. It’ll either be the most brilliant thing ever–or the largest stinkbomb in teaching history! Whew, I’m tired even writing this! What an abnormally full day! Tomorrow, rest and reflection, and hopefully some restoration awaits.